to bring each of your servers to its “knees”. 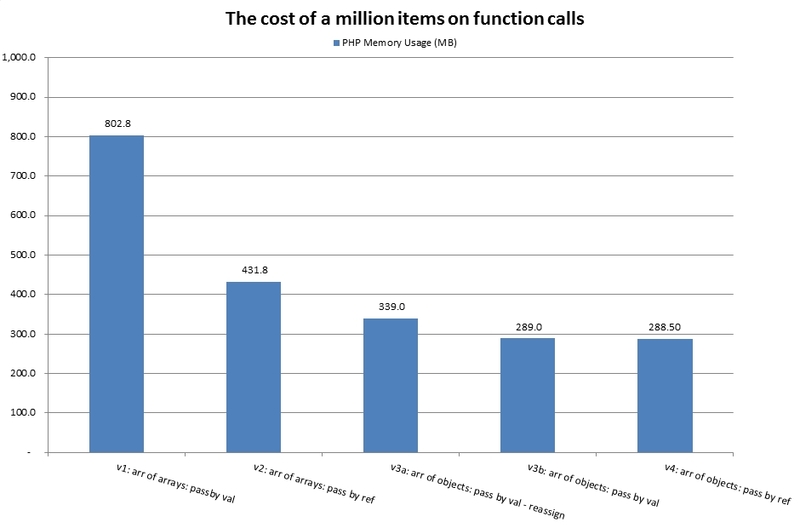 On part 1, I’ve mentioned the cost of a million items when we are using arrays in PHP. In this part, I want to highlight related features when we are passing such arrays to functions. You can see all the files on my github project. The surprising cases for me were version 3a and version 3b. Simply, I didn’t expect a difference of 50MB because I thought they are effectively doing the same job. Note: This time, I didn’t use the logarithmic scale.